The following General Terms and Conditions of Sale govern the sale of merchandise by YOOX Corporation, an affiliate of YOOX NET-A-PORTER GROUP S.p.A.(the "Provider" or "we") company with sole shareholder subject to direction and coordination of Compagnie Financière Richemont S.A. to you through the US section of www.stellamccartney.com ("US Site"). The US Site is available only for purchases made and delivered within the United States. 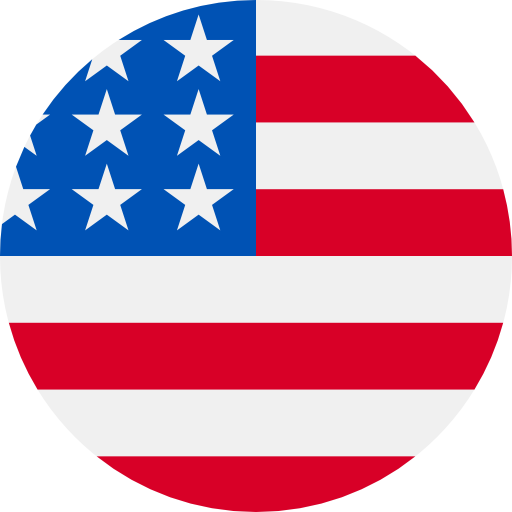 Your use of the US Site to purchase merchandise indicates your agreement to follow and to be bound by these General Terms and Conditions of Sale. All orders are subject to email confirmation by us. Please note that the products displayed on the US Site may be out-of-stock or discontinued, and availability is not guaranteed. Please note that while we have tried to accurately display the colors of products, the actual colors you see will depend on your monitor and may not be accurate. All prices displayed on the Stella McCartney website are quoted in U.S. dollars. While we try to ensure that all prices on our website are accurate, errors may occur. If we discover an error in the price of the merchandise you have ordered, we will give you the option of reconfirming your order at the correct price or canceling it. If we are unable to contact you, we will treat the order as canceled. Prices may change without notice from time to time. The total amount due is inclusive of sales tax applied in accordance with applicable state and local regulations based on your shipping address. The applicable sales tax amount is indicated on the payment page of the cart. The amount of sales tax charged on your order will depend upon various factors, including type of item purchased, sales price and destination of the shipment. Sales tax regulations may change between the time you place an order and the time of credit card charge authorization and this may affect the calculation of sales taxes. The amount appearing on your payment page of the cart may differ from the sales taxes ultimately charged as indicated in the invoice you will receive with the shipping confirmation email. You can order items on our website and have them shipped to an address of your choice or, by selecting the "Pick up in Store" method, to a Stella McCartney store in your country of purchase, which may be selected from among those indicated on www.stellamccartney.com. If you have chosen the "Pick up in Store" method, we will inform you of the arrival of your order to the store via email. In this case, you should pick up the articles within fifteen (15) days of the aforementioned communication being sent. You must provide the sales assistant with a copy of the email confirming shipment and a piece of identification upon pick up. If someone is collecting an order in your behalf, this person will need to provide, in addition to the email confirming shipment of the order, a photocopy of your identification document, along with the Letter of Authorization for the representative (download a blank copy in the Customer Care area) and his/her identification document as well. If the items are not picked up within this time period then the purchase contract shall be considered automatically terminated and you will subsequently be reimbursed for the amount paid. We moreover remind you that it is not possible to make payment in store for the items ordered online. Therefore, the cash on delivery option is not available when you choose delivery to the store. For more information on the specific terms of shipment and delivery of items to the preselected address or the selected store, please see the Customer Care area. If you are a Consumer, you may cancel your contract with the Vendor in relation to products purchased from www.stellamccartney.com , without any penalty and without specifying the reason, by notifying the Vendor in writing within twenty (20) calendar days, beginning on the day you receive the products. Orders may be returned to a Stella McCartney Store within twenty (20) days of the date when the merchandise was picked up in store, and at no additional cost. We remind you that it is not possible to exchange items or receive an immediate refund at the store. THE PROVIDER MAKES NO REPRESENTATIONS OR WARRANTIES OF ANY KIND, EXPRESS OR IMPLIED, AS TO THE PRODUCTS INCLUDED IN THE www.stellamccartney.com US SITE NOR AS TO THE MERCHANDISE BEING SOLD TO YOU. TO THE FULLEST EXTENT PERMISSIBLE BY APPLICABLE LAW, THE PROVIDER DISCLAIMS ALL WARRANTIES, EXPRESS OR IMPLIED, INCLUDING BUT NOT LIMITED TO IMPLIED WARRANTIES OF MERCHANTABILITY, FITNESS FOR A PARTICULAR PURPOSE AND NONINFRINGEMENT, AND THERE ARE NO WARRANTIES, EXPRESS OR IMPLIED, WHICH EXTEND BEYOND THE DESCRIPTION OF THE MERCHANDISE CONTAINED ON OUR ORDER CONFIRMATION. THE PROVIDER WILL NOT BE LIABLE FOR ANY DAMAGES OF ANY KIND ARISING FROM THE USE OF THE US SITE, INCLUDING BUT NOT LIMITED TO DIRECT, INDIRECT, INCIDENTAL, PUNITIVE AND CONSEQUENTIAL DAMAGES CERTAIN STATE LAWS DO NOT ALLOW LIMITATIONS ON IMPLIED WARRANTIES OR THE EXCLUSION OR LIMITATION OF CERTAIN DAMAGES. IF THESE LAWS APPLY TO YOU, SOME OR ALL OF THE ABOVE DISCLAIMERS, EXCLUSIONS, OR LIMITATIONS MAY NOT APPLY TO YOU, AND YOU MIGHT HAVE ADDITIONAL RIGHTS. You can find the full Terms and Conditions of Stella McCartney x The RealReal promotion here. For the avoidance of any doubt, YNAP Corporation is in no way a sponsor or promotor of the Stella McCartney x The RealReal promotion and is only associated with the Stella McCartney x The RealReal promotion by virtue of managing the store www.stellamccartney.com/us where Codes may be redeemed.